I’m not sure how much more I can take of my favourite vegan food suppliers disappearing or retreating from public life. If I start losing weight, you will know who to blame. Come on vegan food makers, this FGV needs you. First Saf closed up for good, then The Mighty Fork stopped trading and now I find out one of the best vegan bakers in the city is set to stop trading in Brixton. Dumisani and Andy are the people behind The Vegan Tart. Anyone who has strolled around Brixton market will know of the colourful stall overflowing with gorgeous baked goods. Their creations are so well loved they scooped the top prize at the Great Brixton Bake Off, as well as the snatching the top gong in the Best Savoury category. 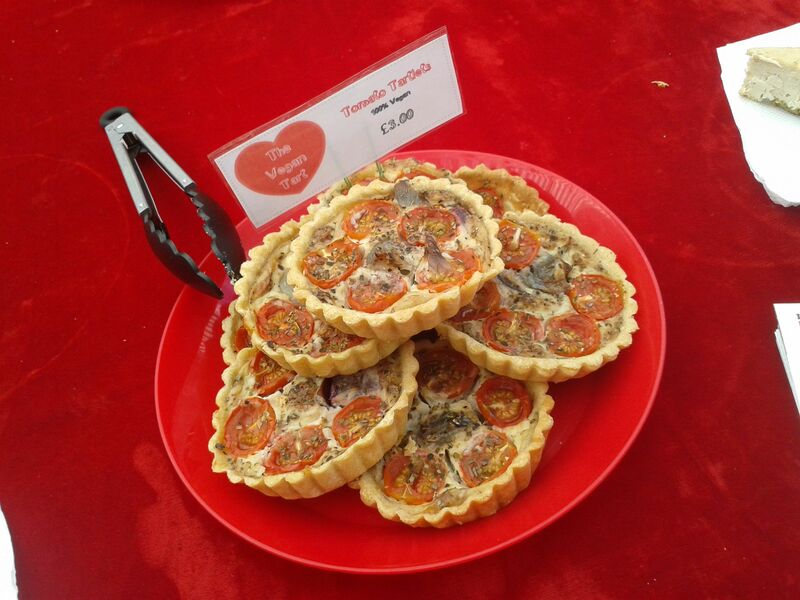 So it seems Brixton has lost one of its favourite foodie stalls, but cake aficionados can still get their fill of The Vegan Tart by ordering online. Pop down to Brixton market this Saturday (June 7, 2014) to wish Dumisani and Andy all the best in their future endeavours. This entry was posted in I love sugar, London can you wait?, Vegan and tagged Brixton, market, Station Road, The Vegan Tart. Bookmark the permalink. Nooo!!! 😦 Love these guys!